Todd Park	Home to the Picnic in the Park festival, a collaborative effort of Pearl Park and Neighborhood Association. 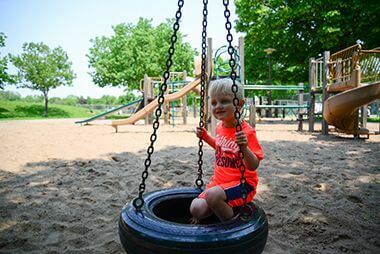 Master Plan: After two years of extensive community engagement, the Todd Park Master Plan was approved in 2016 as part of the South Service Area Master Plan. 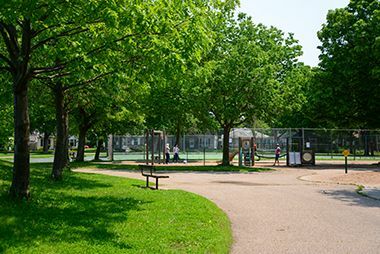 The Todd Park Master Plan will guide outdoor park improvements at Todd Park for the next 20-30 years. Click the link below to view the master plan. Name: The park was named for George Todd, a park commissioner from 1957 to 1963. The park board broke from accepted practice and named the park for a living person. Todd was ill with cancer at the time the park was named for him. He died a few months later. 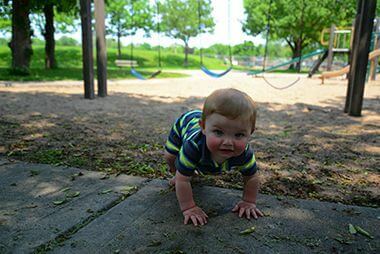 Before it was named for Todd, the park was commonly referred to as East Diamond Lake Park. The park was dedicated in the plat of the area, which was filed June 16, 1938, but it was not officially accepted by the park board until March 17, 1948. A lengthy discussion of Pearl Lake and Diamond Lake in the 1938 annual report notes the dedication of the land as park and refers to it as the “east swamp,” thirteen acres of land that was twelve feet below the grade of the streets surrounding it. The report also referred to failed efforts by the park board in 1931 to acquire the land east of Diamond Lake. In the plan presented for the entire Pearl Lake-Diamond Lake area in 1938, park superintendent Christian Bossen wrote that the plan was to fill the swamp, but due to “poor foundation conditions,” no permanent structures could be built there. Instead it would be a play area. His lack of enthusiasm for the property may have been justified given that the park board already owned the wetland and lake across Portland Avenue, Diamond Lake, and still more wetland north of that, Pearl Park, which was still referred to in park documents of the time as Pearl Lake. Doell probably figured he already had enough swamp to manage—the park board had been attempting to fill Pearl Lake since 1937—and he had little money to do anything with any of it. 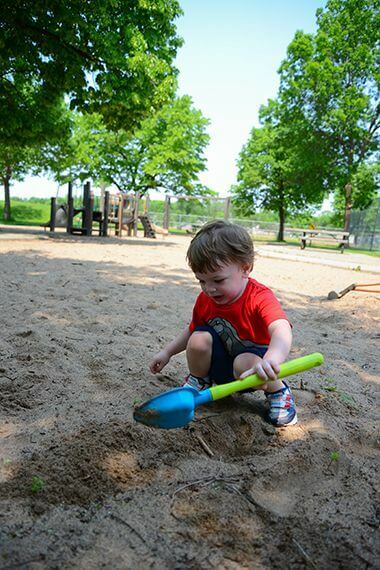 The park board had included improvements for Diamond Lake and Pearl Lake as a priority on the “Post-war Progress” estimate it had submitted to the city for bond funding after World War II. Doell and park commissioners didn’t know it when Todd Park was acquired in 1948, but they may have already had an inkling, that even their high priority improvement plans would not be funded until the 1960s, long after Doell had retired. Still in 1958, the park board began doing what it could. Using fill generated by street widening in the area, it managed to fill the half-block along Chicago Avenue between 56th and 57th streets. It wasn’t until 1963 that the park board received city bond funding, $75,000, to finish improvements at Todd Park. Those improvements consisted only of creating playing fields. A major investment in recreation facilities and a recreation center was still planned for nearby Pearl Park at that time. 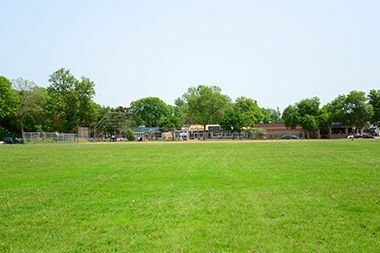 The playing fields at Todd Park were renovated in 1991. 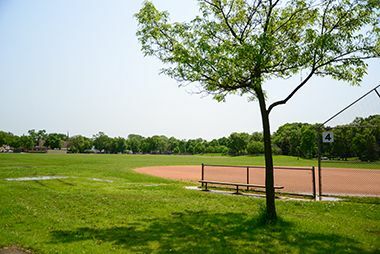 Although Todd Park was referred to as "swamp" when the park board purchased it, today the park has 13 acres of green space to play. Enjoy a shady stroll along Todd Park's paved walking trails. 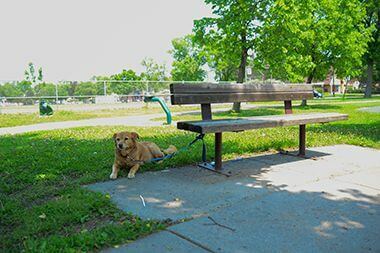 Cool off in the summer at Todd Park's shady benches.